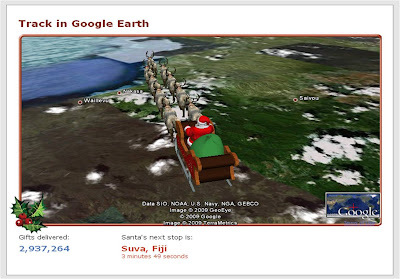 Last year I wrote about how NORAD Santa tracking was using Google Earth, YouTube, Twitter etc to follow Santa as he delivers presents across the world. Santa has already started his journey (currently in New Zealand) and this is a great way to continue the NORAD Santa tracking tradition by using new technology to make it even better! Happy Christmas / God Jul!